Airtel is here! Coming late though, but let me introduce to you the latest Airtel Cheapest Night Plan where you can get 1.5GB for just N200. You don’t need to tweak anything, there is no cheat, all you have to do is to subscribe and that is all. 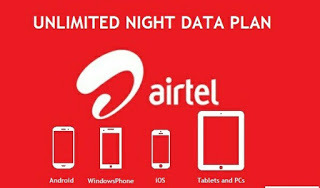 Finally, Airtel Scrapped their Hourly Unlimited Night Plan, but here in our Front, is the new Cheapest Internet Data Bundle Plans for everybody. It works on all sim card. Are you a heavy down-loader or a heavy user, then subscribe with N200 and get 1.5GB! It includes other cheaper data plans. Just like the MTN 500mb for N25. Airtel also introduce a look alike data plan. But it is a Night Plan. But before, you can get the plan, you have to Migrate to Airtel SmartTrybe. Below are the necessary Procedures to follow to start enjoying your bundle!